Nothing groundbreaking here, but the weatherproof enclosure and Wi-Fi adapter sound pretty bulletproof. 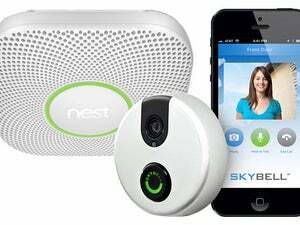 Existing Nest Cam Indoor and Dropbox Pro users will get new software features, too. Nest Labs is taking preorders on a weatherproof outdoor version of its Nest Cam home security camera that will reach store shelves in September this fall. 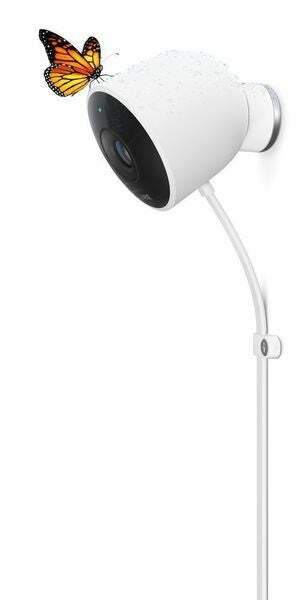 Nest will also release a new version of its camera app, delivering some of the same new features to Nest Cam Indoor and Dropcam users. More on that later. You won’t have to rely solely on magnets to install the camera. A more conventional wall plate will also be in the box. 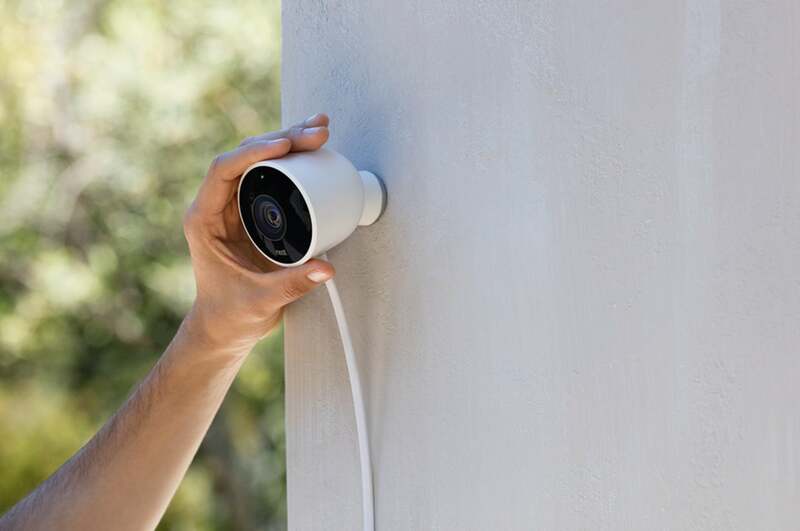 Unlike the Reolink, the Nest Cam Outdoor connects to your network wirelessly, and unlike the Arlo HD, it operates on AC power and remains powered up 24/7. And unlike either camera, the Nest Cam Outdoor will have two-way audio capabilities, thanks to a built-in mic and speaker, so you can communicate with the person you see on the camera. “This is one of the first cameras to come with two-way audio,” said Nariyawala. “Not only can you use it to deter a suspicious person, but if there’s a delivery guy, you can tell him to put the package somewhere safe.” That's a feature we previously lauded in the Kuna Smart Home Security Light. The Nest Cam Outdoor features a magnetic mount, so you can adjust the camera's angle without tools or even thumbscrews. The Nest Cam Outdoor’s camera housing is rated IP65, meaning it's completely protected from dust ingress and from water jets emerging from up to a 6.3mm (1/4 inch) nozzle. That should be enough to protect it from water sprayed from a hose to clean it, but it probably wouldn’t withstand an onslaught from a pressure washer (nor would we expect it to). A permanently affixed 7.5-meter (about 24.6 feet) cable emerges from the camera and connects to a plug-in USB module for power and Wi-Fi connectivity. This module, which is likely to be more exposed to the elements than the camera itself, boasts an IP67 rating, meaning it can be immersed in up to one meter (a bit more than three feet) of water without ill effect. “It could be buried in the snow or you could put it in a puddle of water and it will work perfectly fine,” said Nariyawala. The cable clip and permanently attached cable will make it difficult for a thief to steal the Nest Cam Outdoor. Surprisingly enough, the end of the cable that plugs into the Wi-Fi module is detachable. So if you don’t have any outdoor outlets, you could drill a hole in your wall that was just big enough to accommodate the cable and plug the camera into an indoor outlet. “Obviously we increased the range of Wi-Fi connectivity as well,” Nariyawala said. The camera will deliver 1080p video resolution, typical for this class, but Nariyawala said it will have a very wide 130-degree field of view, day or night. The field of view on most cameras narrows when darkness activates their night-vision mode. Video streamed to the cloud will be encrypted with a 2048-bit RSA key and with a 128-bit SSL connection. 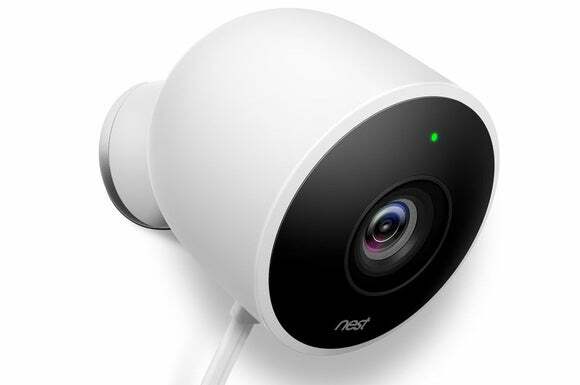 When Nest ships the Nest Cam, it will also release a software update that will deliver several new features to existing Nest Cam Indoor and Dropcam Pro users. All users will get a new feature called Spaces that enables users to “place” all their Nest products within “rooms” inside their home. So if you have a Nest Cam Indoor and a Nest Protect smoke/CO detector in your living room, a Nest Learning Thermostat in your hallway, and a Nest Cam Outdoor on your front porch, you can place icons representing those devices in a graphical representation of your home and be able to control all of them from one screen on the app. The updated app with the Spaces feature will be available later this month. 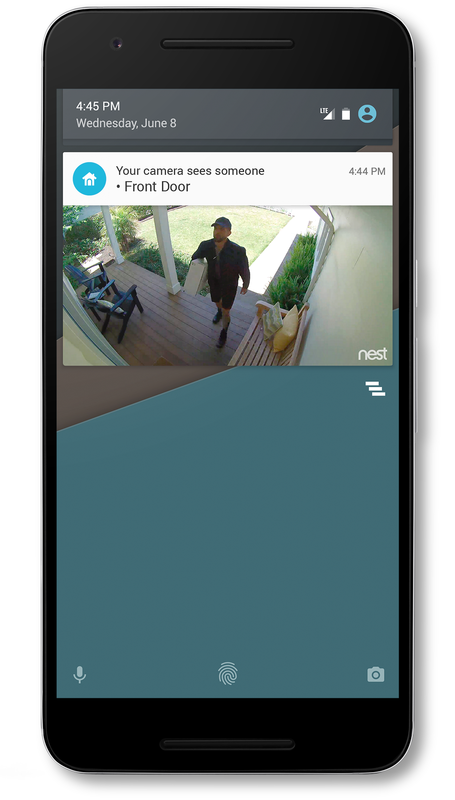 Person alerts will send a message to the Nest Cam app when an algorithm determines that a human being is in front of the camera. Subscribers to the Nest Aware service ($10 per month to store up to 10 days of video history, or $30 per month to up to 30 days) will get a new feature called “person alerts.” This is a server-based algorithm that will analyze the feed from your camera in real time to distinguish a human being from anything else that might appear in front of the camera. If the algorithm determines that it’s a person, it will send an alert to the app to let you know. “Algorithms aren’t perfect,” said Nariyawala, “when we see a person right in front of the camera, we’ll send you an alert. But if the person is partially hidden by a plant, the camera will report that it thinks it’s seen a person, so that you can decide if you need to investigate.” Unlike Netatmo's Welcome home security camera, Nest's person alerts won't use facial recognition to try to identify who the person in front of the camera is. The final new feature Nest is adding to its app is one that Dropcam Pro users have always had: Secure private camera sharing. This will enable Nest Cam users to create and share private, password-protected livestream links with friends or family—a handy feature if you leave on vacation and ask someone to watch your house for you. We'll have a full hands-on review of the Nest Cam Outdoor as soon as we can. In the meantime, don't miss our in-depth look at 10 of the best home security cameras available now. Correction: The Nest Cam Outdoor will be available in the fall, not necessarily in September.